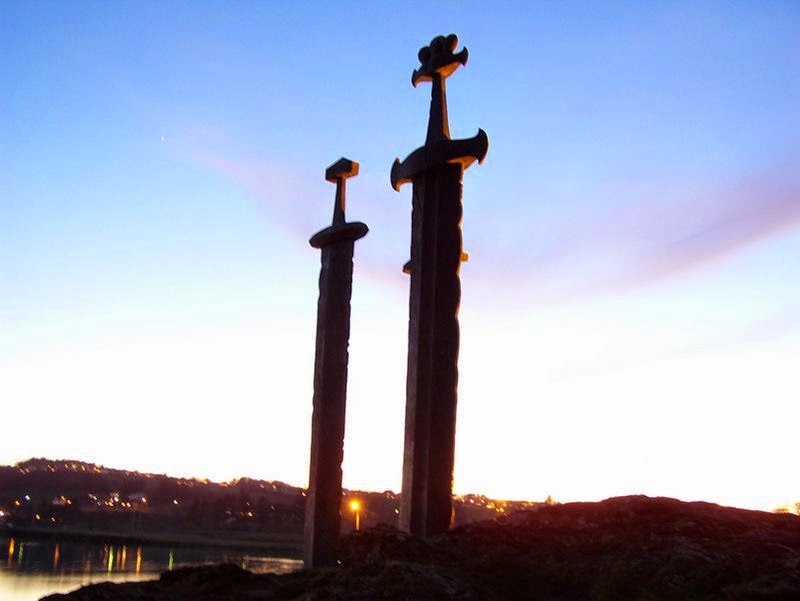 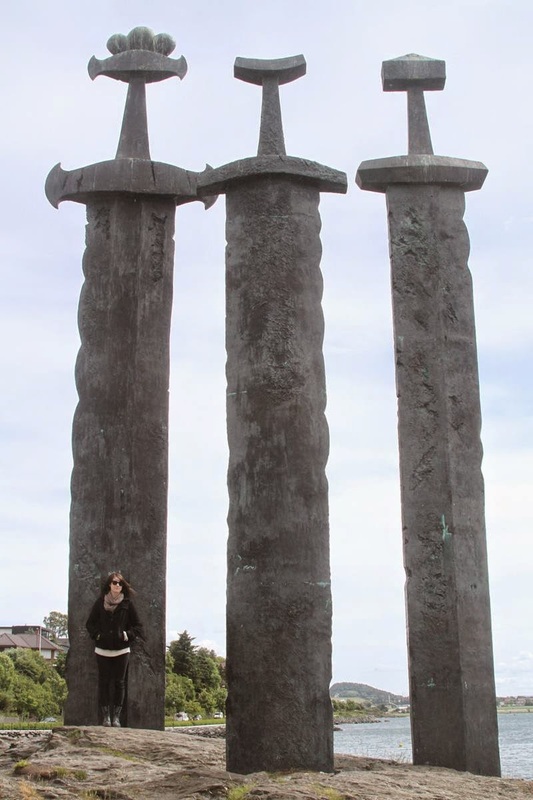 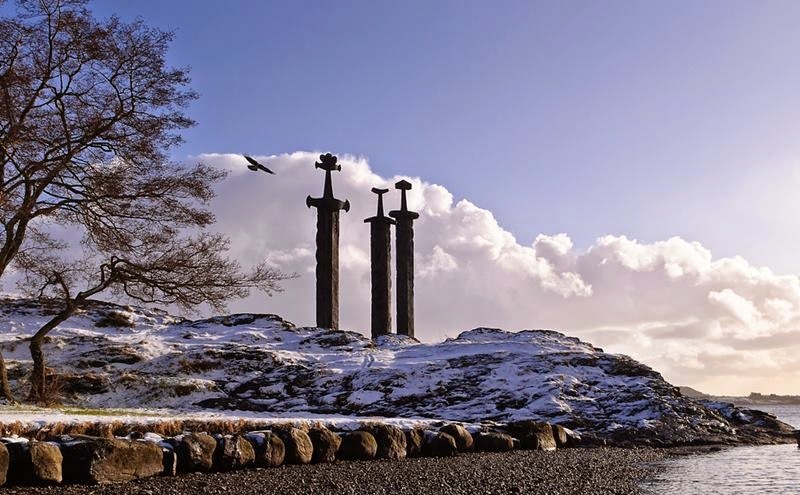 Sverd i Fjell or Swords in Rock, The Three Swords Monument is one of the most spectacular and imposing monuments. 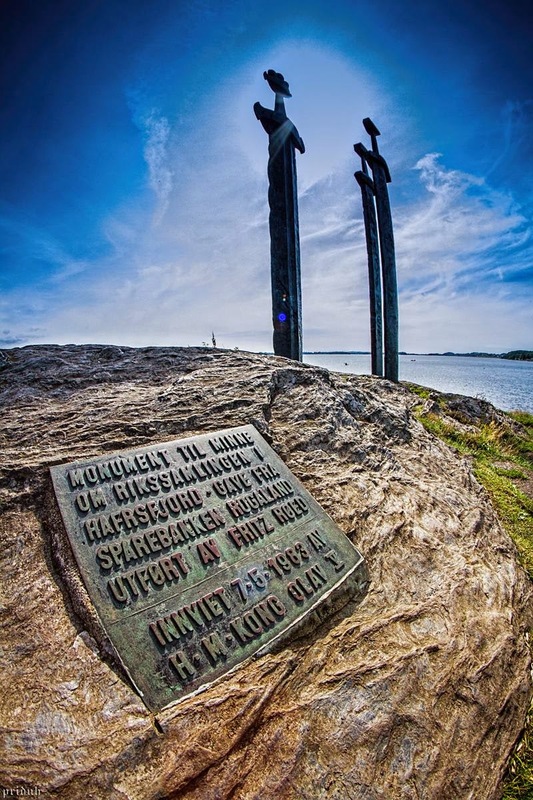 This Monument was created by sculptor Fritz Røed and inaugurated by King Olav in 1983. 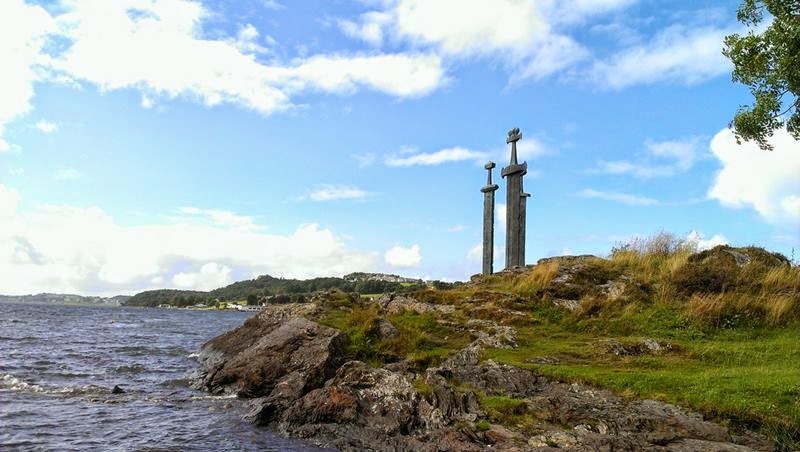 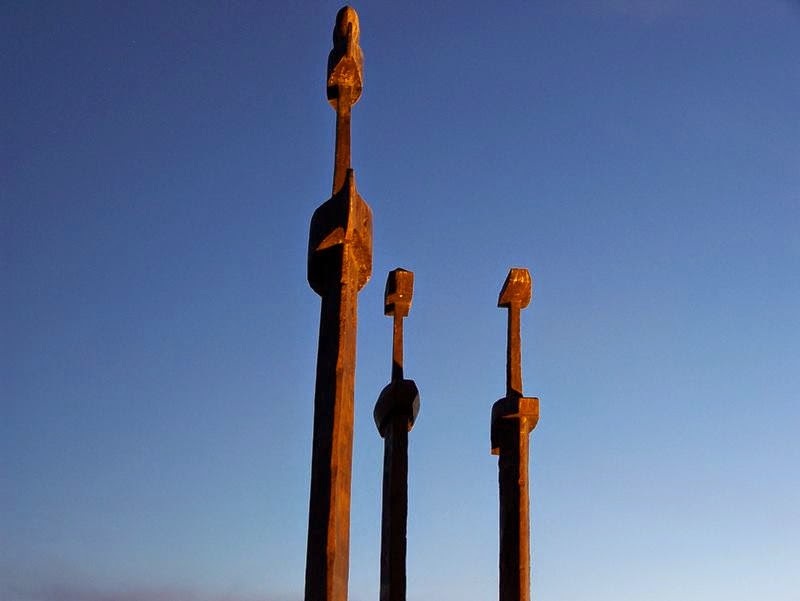 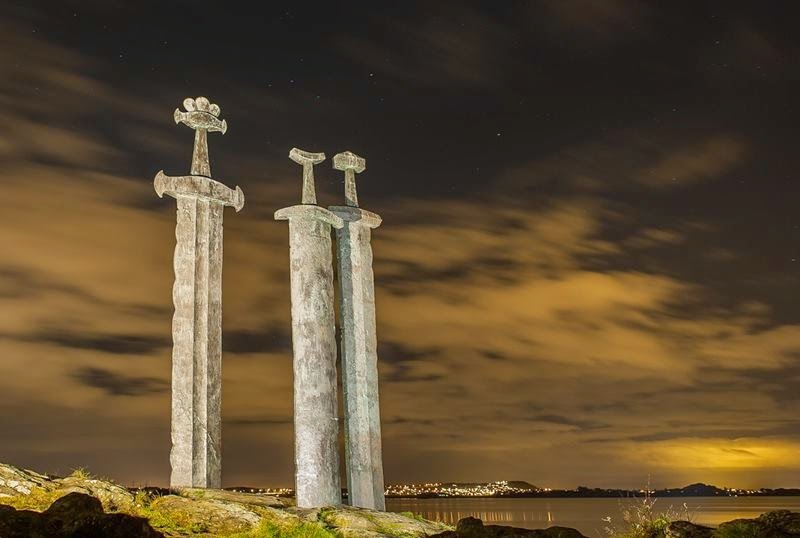 Three gigantic Viking swords 10 meter high, stick into the hard rock of the Norwegian region Møllebukta, Stavanger, in honor of the battle in 872 A.D, united all under the command of Norway Harald Hårfagre. 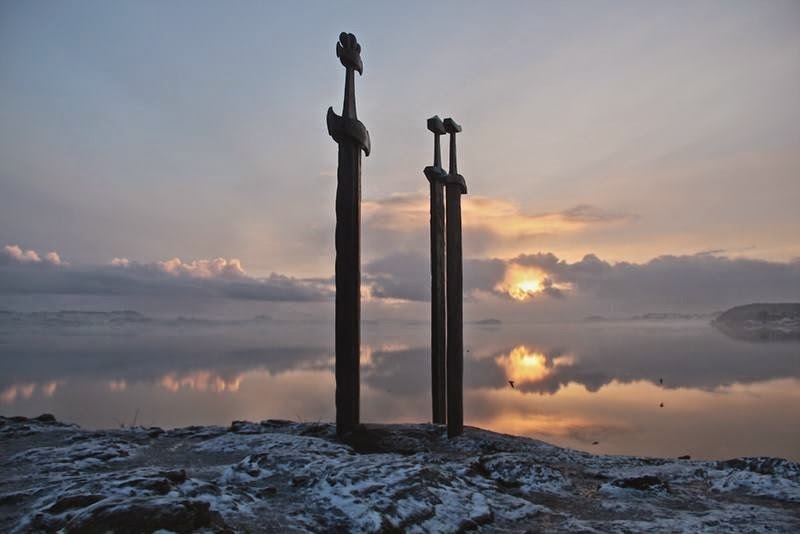 Thus beginning one of the golden ages of the Scandinavian country. 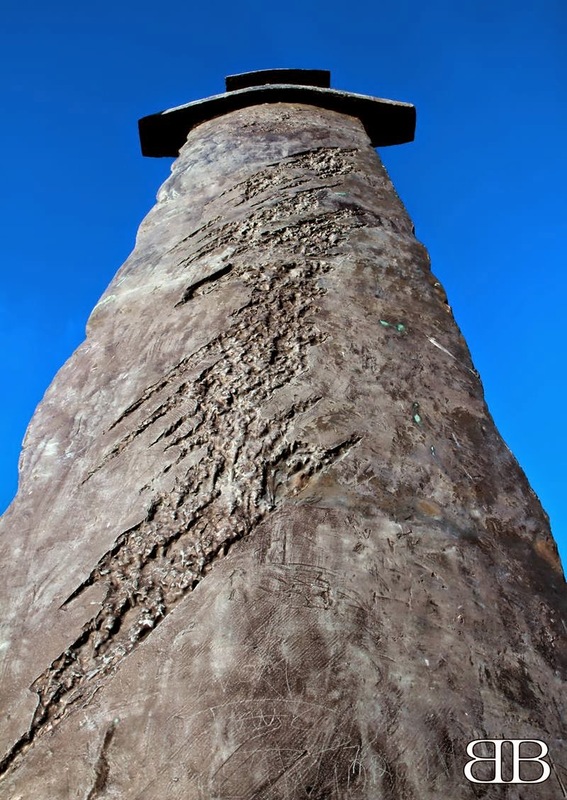 The monument represents peace, unity and freedom. 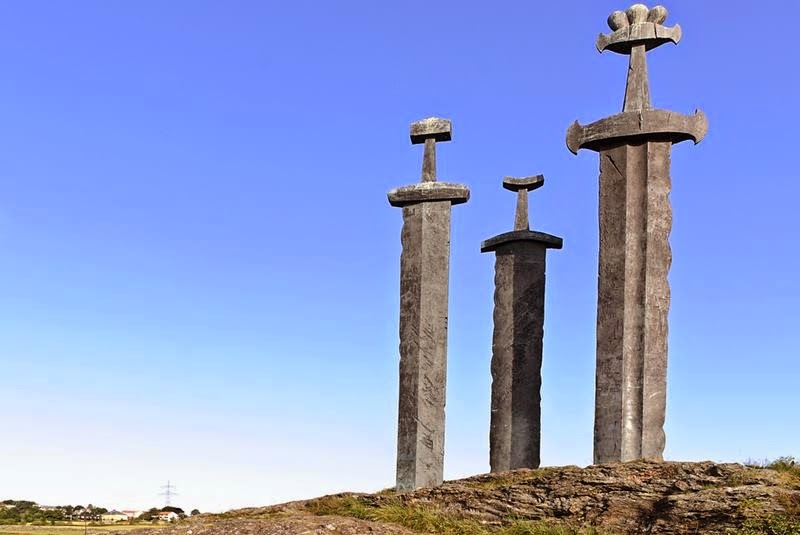 The crowns and the size of the swords also symbolize the three different states which took part in the battle. 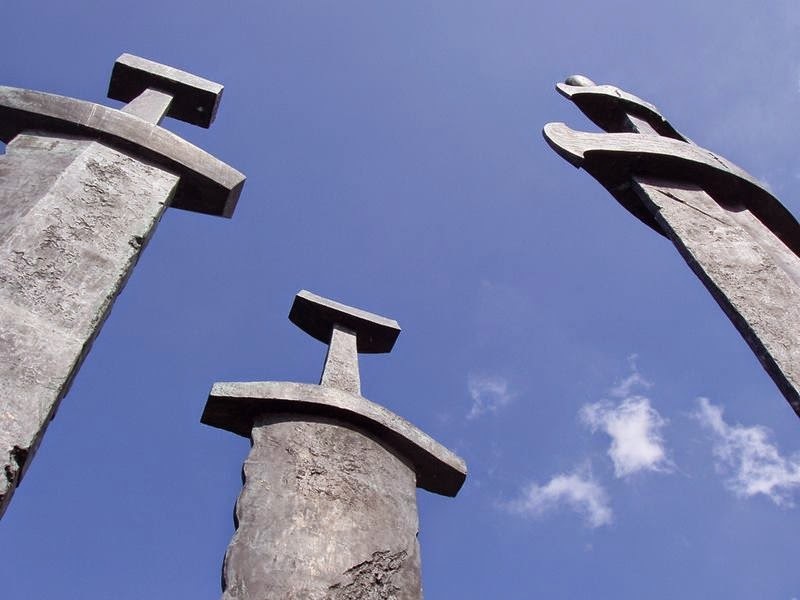 The two smaller swords represent the defeated petty kings and the biggest sword represents the Viking King Harald, and symbolism the peace, since they, being nailed in the rock, will not return to be used and they may never be removed.